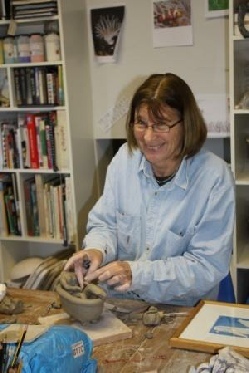 It is never too late to learn to be creative with clay so if you’ve always wanted to have a go at throwing a pot on the wheel or making your own vase, plate, or fantastic sculpture, do come along and have a go. After just a few lessons, with guidance and inspiration provided, you should be able to create your very own art work in a warm social setting. 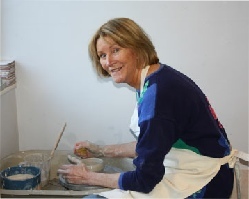 I run pottery classes for mixed abilities from my studio in Broad Hinton. Classes are small (maximum 6) and friendly with lots of individual attention. We do seem to laugh a lot! 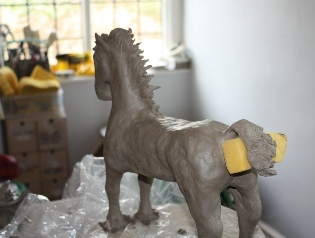 The studio is well equipped has a potter’s wheel and all that is necessary to make your own glaze, or slip cast mould as well as the standard hand building methods of making in clay. The price is inclusive of clay, glazes materials and firings (within reason). There is a large library of books to help with inspiration for your project. Call Liz on 07776188805 or email Liz at lizmoakes@btinternet.com to find out more.